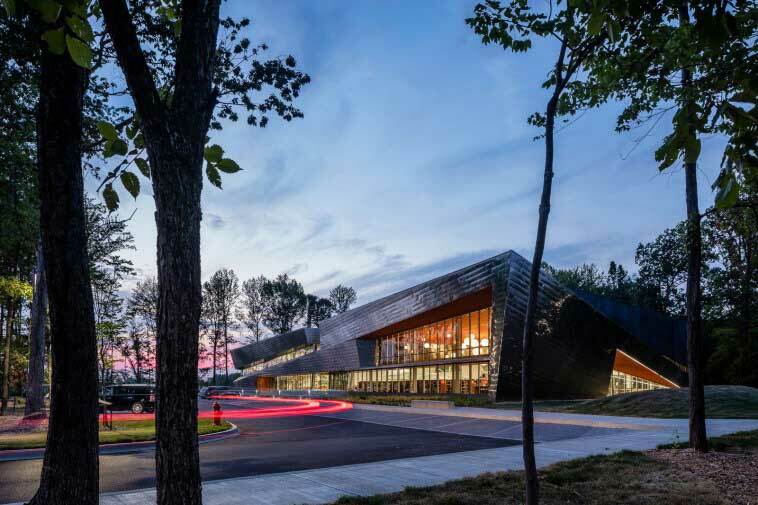 The Louisville Free Public Library’s newest branch in Okolona has just earned a certification by the U.S. Green Building Council, adding to the list of library buildings that are easy on the environment. The South Central Regional Library in Okolona makes use of a wooded area that surrounds it. | Photo courtesy of MKSK The South Central Regional Library, 7300 Jefferson Blvd, near the Jefferson Mall, is the second of three major building projects by the library. The team of MSR (design), JRA (architects), and MKSK (landscape architects) collaborated to place the new 40,000- square-foot facility into an existing woodland in Okolona, taking advantage of the shade and views to provide library patrons with spaces to view and participate in the landscape. The first project, the Southwest Regional Library in Valley Station, was named by Huffington Post as Best Library in Kentucky and won an Honor Award from the Kentucky Chapter of the American Society of Landscape Architects. It is also LEED Gold certified. “A couple of my favorite features specific to South Central include the green roof and the more than one acre of preserved woodland on the site,” said Paul Burns, spokesman for the Louisville Free Public Library. Other green initiatives that the spaces include are geothermal heating, daylight harvesting interior lighting, high-efficiency heating and air-conditioning, and recycled and low VOC construction materials. 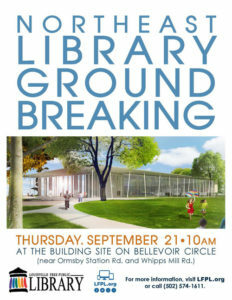 The third project, Northeast Regional Library, located on Bellevoir Circle off Ormsby Station Road near the Northeast YMCA, is also planned for LEED certification and is under construction. It’s expected to open in early 2019. The Newburg and Fairdale branches are certified LEED Silver. The Leadership in Energy and Environmental Design is a green building rating system, which provides a framework to create healthy, highly efficient and cost-saving green buildings, according to the USGBC’s website. Projects pursuing certification earn points in several categories, including energy use and air quality. Based on the number of points achieved, a project then earns one of four LEED rating levels: silver, gold or platinum. 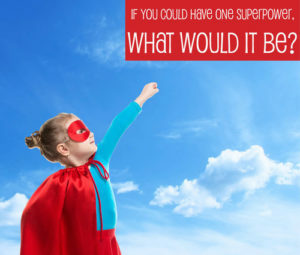 “Being good stewards is as much about how we directly impact the environment — the physical building site, the materials used, and being good neighbors — as it is being mindful of the long-term costs to run the library and the impact the building has on those who use it,” Burns said. Andy Knight, principal at MKSK, said the Northeast Regional Library has the same plans for reduced environmental impact as the other branches. The Northeast branch anticipates receiving the same LEED Gold certification as the South Central and Southeast. The three libraries will bring needed community spaces to the area, as well as expanded collections.